Sunsets are always beautiful and gorgeous in photos. This snapshot captured right at the heart of Seal Rock in Oregon is a concrete reminder of how beautiful the world can be. The tides seemed to kiss the basalt cliffs. The calm waters and the tender waves convey a sense of serenity and calm. The horizon is bursting with colors of violet and indigo along with a hint of magenta. The stillness of the water allows the vivid reflection of the surrounding rock formations. The venue for this outdoor photography session is right off the coast of Seal Rock, Oregon. This is amazing ocean view scenery. Most photographers are awed with the breathtaking sunset and panorama of this coastal town. The state of Oregon takes pride of its rocky shores which are actually remnants of an ever changing geologic process over the years. Facing the Pacific Ocean, the shores in Oregon are shaped and influenced by the changing tide causing faults, erosion and fractures of the mountains along the coast. At Seal Rock, Oregon, there are plenty of photography subjects that are definitely fascinating. 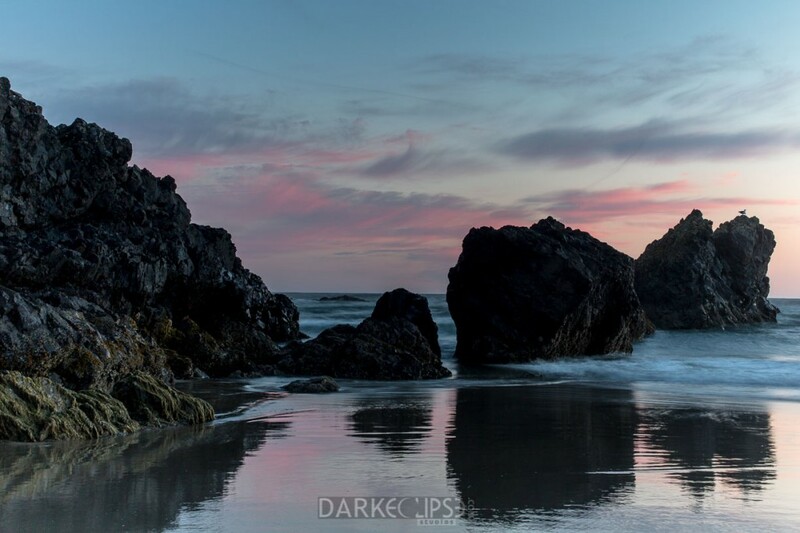 Aside the crashing waves and that astounding sunset, a visit to Seal Rock will definitely give out the opportunity to meet interesting wildlife and trails of beautiful trees. If you are lucky enough to see the low tides, you can check out tide pools right off the shore. These are really nice photo subjects featuring marine life such as star fishes , crabs and a lot of peculiar creatures.